Spend several extraordinary days in the company of majestic gray whales in Mexico's Bahía Magdalena, one of the best places in the world to witness interactions between gray whale mothers and their curious calves. 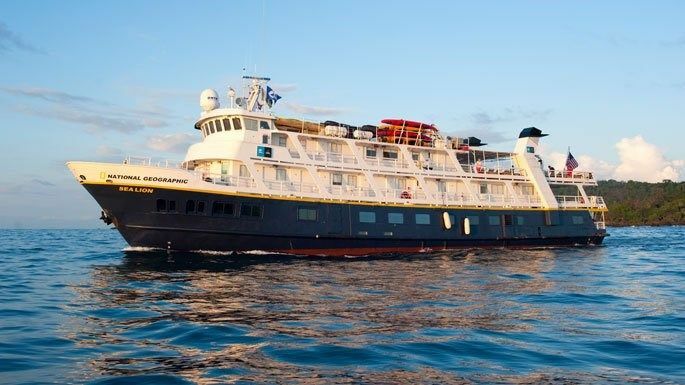 On this compact trip, we'll navigate the length of the bay aboard our nimble expedition ship, and set out by Zodiac for thrilling, up-close encounters. Kayak through mangrove forests and hike desert islands, watch pelicans and ospreys soar overhead, and soak up the sun on some of the Pacific's most pristine beaches. Get up close to California gray whale mothers and calves in their winter breeding grounds in Bahía Magdalena. Hike through diverse island landscapes with our naturalists, from windswept sand dunes to cactus groves. Kayak and paddleboard on the glassy waters of the bay and into mangrove forests teeming with wildlife. Grab a fat tire bike from our onboard fleet and ride over desert terrain. Learn about desert ecosystems, seabird migrations, and whale behavior from our experienced naturalists.